Although Microsoft won’t officially end service on Windows 7 until January 14, 2020, your small business should already be considering the steps you will need to take to upgrade to Windows 10. Your network and workstations will take time and effort to change over, so it is recommended that you consult with your trusted IT partner, such as Network Depot, to assist you in formulating a workable transition plan. A well-planned transition process will ensure that your company can continue to comfortably use Windows 7 and then seamlessly move into the upgraded environment of Windows 10. Even at the ripe old age of nine years, Windows 7 remains the most popular operating system in the world, with market share still in the upper 40% range after reaching an impressive peak of 55% in its prime years. Users continue to be impressed with and attached to its useful and varied features, speed, software compatibility, and its overall dependability. 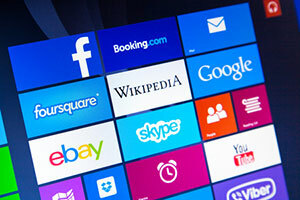 Windows 8 versions have suffered in comparison and never approached the popularity of Windows 7. Microsoft has slowly won over converts to Windows 10 by recognizing and building on the reasons why users appreciate Windows 7. They have worked hard to maintain the features that made Windows 7 so popular with the improved power, speed, and functionality to meet the increasingly demanding technology needs of small businesses. As with the lifecycle of past operating systems such as XP and Vista, Microsoft is winding down its level of service for Windows 7 in phases. First, Windows 7 entered the “end of sales” phase starting November 1, 2013, when retail sales stopped. The operating system was then no longer available pre-installed on OEM PCs starting on November 1, 2014, (except for Windows 7 Professional, which was sold pre-installed until October 31, 2016). From that point, it moved into the “mainstream support” phase. Microsoft then ceased providing mainstream support on January 13, 2015. The completion of this phase meant the end of service packs, non-security updates, new features, and free technical support. This also meant the end of all warranties. Windows 7 then moved into the “extended support” phase. Windows 7 will remain in extended support until January 14, 2020. Up to that day, users will still be able to install important security patches and continue to have access to paid technical support. After the end of service phase is initiated on January 14, 2020, security patches and all technical support will cease. For cybersecurity reasons, it is imperative that your small business use an operating system that is continuously updated with the latest security patches. A clear illustration of the problems that can arise when using an operating system that is not supported at the highest level of security is what recently happened with the ransomware cyberattack known as WannaCry. This ransomware spread much more rapidly by exploiting vulnerabilities in PCs still using outdated and under-protected systems such as Windows XP and Windows Server 2003. Conservative estimates are that more than 200,000 computers were infected by WannaCry in 150 countries at a cost of billions of dollars in ransom money and hindered operations. The situation became so serious that Microsoft took the unprecedented step of issuing an emergency security patch for these unsupported systems. Cybercriminals are becoming ever more sophisticated, so it is dangerous to leave your network protected at anywhere less than the highest level. After the end of service date for Windows 7, cyberattacks will increasingly focus on exploiting the networks and PCs still using this outdated operating system. In short, cybersecurity is the most important reason for your company to have long since transitioned to Windows 10 before the precarious end of service time for Windows 7 begins. In addition, even though Windows 7 has proven itself reliable and versatile for a remarkable length of time, its advanced age will increasingly impact the efficiency and effectiveness of your business operations. It is important to note that an increasing amount of new software and hardware used in your business will not even be compatible with Windows 7. As all different forms of applications continue to increase in complexity and power, your operating system must be able to work well with them to keep your business functioning at its highest level. Finally, it makes sense to start planning and implementing your transition well in advance, as opposed to being unnecessarily worried about the transition process. You don’t want your business to be “that procrastinating company,” which calls up your IT partner in a panic the week before Windows 7 end of service asking for help. In summary, the year 2020 isn’t as far away as it seems. Take the time now to work with a trusted IT Support partner, such as Network Depot, to plan and execute a seamless transition process from Windows 7 to Windows 10.